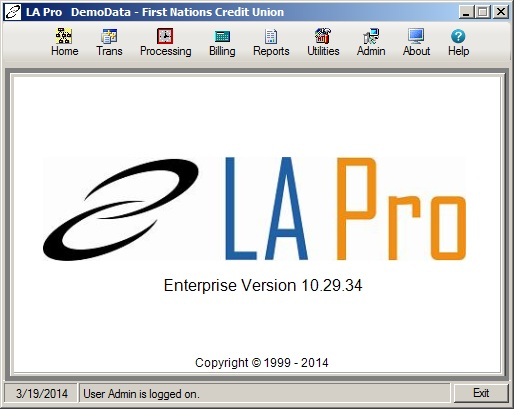 Overall: LA Pro is a great platform for loan servicing. The features available make the servicing of our loan portfolio extremely easy and handles all the variables, such as participation, discounting of interest rates, and service fees with ease. Great value for the price! Recommendations to other buyers: Great value for the price. 2) Kim & Cindy are always there when needed & does a perfect job answering any questions or concerns that one may have. 3) Very easy to use! 2) Customer support are always there when needed & does a perfect job answering any questions or concerns, one might have. 3) Gets the job done in an efficient manner! Recommendations to other buyers: Overall: 1) Great Value! 2) Excellent Customer Service! 3) Gets the job done in an efficient manner! Pros: In the almost 8 years we've been in business, this is the only software we haven't replaced. It seems so many times we are promised a program will do what we need but once installed it doesn't live up to its name. La Pro has been wonderful for us and we wouldn't trade it for the world. 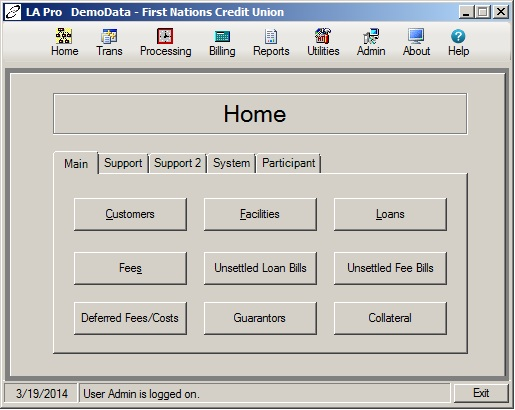 My favorite part of the program is the reports and how i can customize them for my different credit unions. Since we work with 16 different credit unions, this is extremely important. 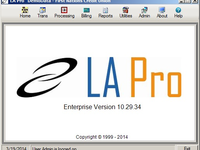 Cons: I don't think we're notified when La Pro has an upgrade since it doesn't seem like we get anything very often. The last one came to us ironically right after I emailed to see when an upgrade would come out since the last one had been a long time ago. Overall: Overall, super great product. I'm very happy with La Pro and its ease of use. So glad we purchased it when we started up our business. Cons: There are some features, in reporting, that we would like to have, that are not available. Overall: LA Pro has worked well for us since April, 2004. 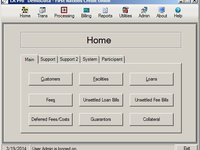 Based on ease of use, and excellent customer support, we would and do recommend the software to others. Pros: LA Pro has met all of our company's needs. 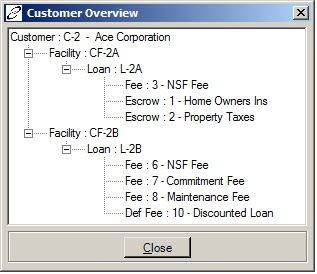 It has enabled us to keep a close watch over our customers and fully integrate the program with our business model. The support for LA Pro has been flawless and they have worked hard to correct any issues and helped us along the way during the learning curve. Most issues were because of our lack of knowledge and the support team was able to guide us through the process smoothly when questions arose. Cons: We have no issues with LA Pro. Overall: LA Pro has been a great tool for our business and we would highly recommend it to anyone in the finance business. 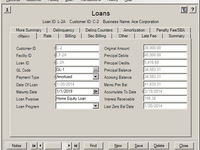 Pros: We have used LAPRO software to service our company's loans and participations for five years. We have always been very happy with the LAPRO software and the support staff has always been excellent. 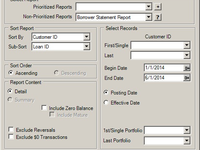 Overall: We have used LAPRO software to service our company's loans and participations for five years. We have always been very happy with the LAPRO software and the support staff has always been excellent. LA Pro gets the job done! Cons: As it is an acess database, a little slow when updating the trasactions. Overall: Very satisfied with the product and support staff. Pros: Forecast report and search features are good. 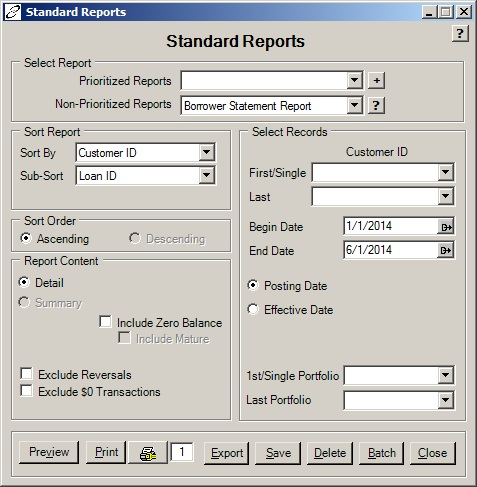 AdHoc reports are good. 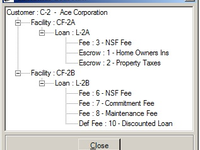 Cons: Would like a forecast report for the deferred fees to capture current portion. 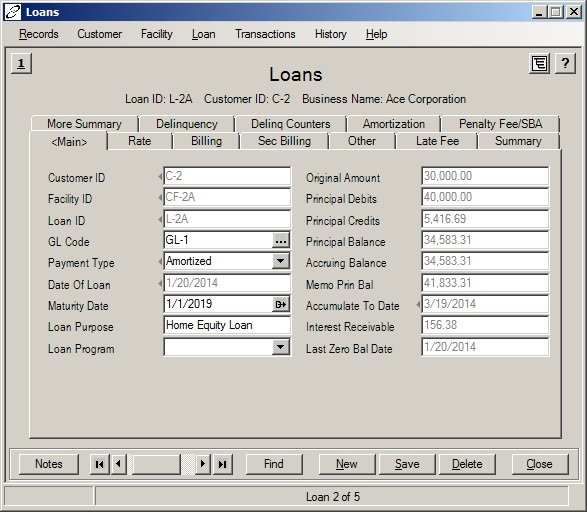 Overall: Would recommend to anyone needing software to keep track of many loans.